lyngen Alpha90 Raw Jacket (M) is rated 5.0 out of 5 by 12. Lyngen Alpha90 Raw Jacket for herre er vårt letteste mellomlag og er spesielt utformet for aktiviteter med høy intensitet, så som skiturer. Rated 5 out of 5 by mamo12 from PT Alpha: new experience of 1st Layer! Bought Alpha90 Raw Jacket 6w ago. 1.80m, 79kg, (long arms) size M for Norrona seems to fit always great. 1st experience: Used it as base layer combined mit Lyngen Alpha100 Vest. Conditions: 0 degrees, uphillrunning 1000m, @ summit windy but not stormy. Since my sweating level is 4 from 5, arms and spine were always dripping and became cold (baselayer: odlo light + nylon windproof vest - more clothing was allways too warm for me). Not with the alpha combination. The sweat drops came out of the wind protective sheet of the vest. The feeling at spine and arms was fresh but very comfortable. I was curious what will happen at the summit. I Pulled the hood of the vest over the head had a 15 min rest in windy (no stormy) conditions and felt all the time warm and comfortable. At the spine the feeling was even dry (it was not but it felt so). I could have stayed there even longer without getting cold. Back at home there was no need driven by temperature or uncomfortableness to change the alpha combi. 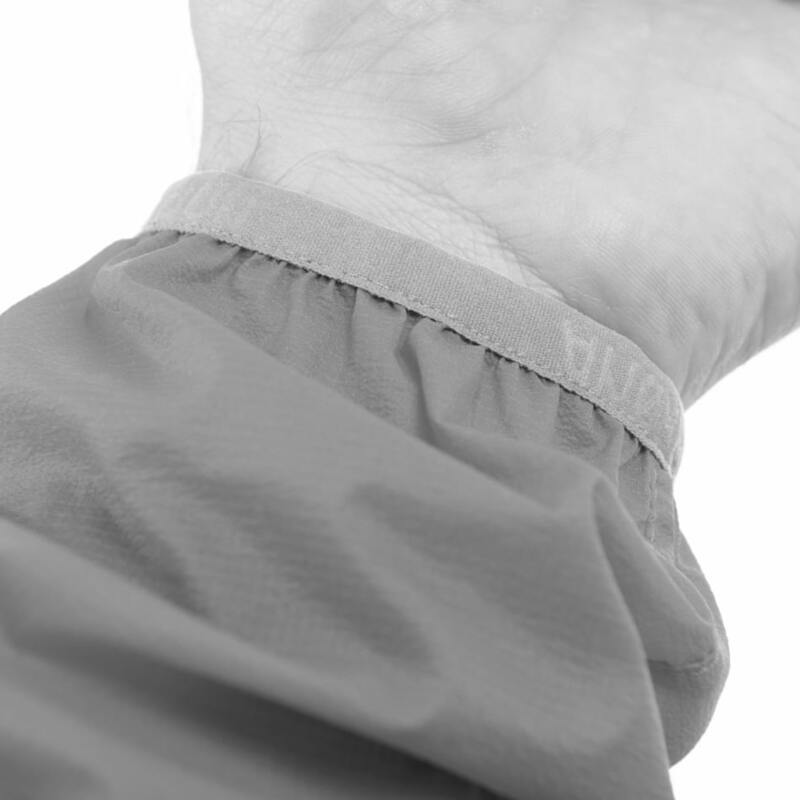 When I went to the shower (30 mins after finishing running) the lyngen Alpha90 Raw Jacket was already almost dry. Never experienced this before with all functional base layers I tried over the last 30 years. Since that first run I use it as base layer for all running activities, for the gym (sweating but it feels dry). Will test it soon during Ski touring. I will see if I have to change it @ the summit or not. If yes it will be much more comfortable to change compared to most other 1st layers because of the zip (never liked it to pull the wet 1st layer in stormy winter conditions over the head (need to remove cap and goggles and it sticks on the body)) Summary: Best 1st layer I ever had (30 years skitouring, trailrunning, marathon) One additional comment: I tried even the lofoten Alpha raw Zip Hoodie also as 1st layer but there is one issue what does not exist on the Alpha90 Raw Jacket: The embroidered Norrona label of lofoten Alpha raw Zip Hoodie on the back is scratching on the skin. :-( would have like to use it also as 1st layer because of the great feeling and behavior from PT alpha on the skin. Rated 5 out of 5 by DrIan from My go to layer Been using this throughout my ski season in the French alps. It's my go to because it is light and warm in the right places. 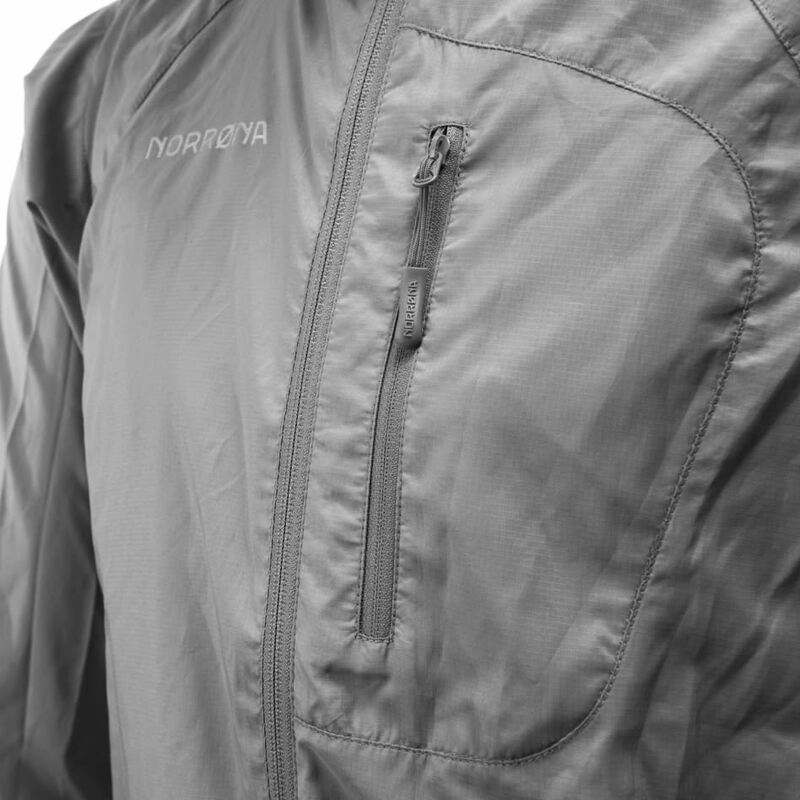 I run hot when touring and skiing and the breathability and light weight of this jacket is perfect for me. Rated 5 out of 5 by Tiboo from Super light, breathable and comfy This jacket is amazingly light and breathable. I needed a light outfit to avoid overheating while going uphill when ski touring and it is doing a perfect job so far. Very good warmth/breathability ratio. I have also used it for running and it was perfect. Only issue I have had so far is the fact that the light garment is a bit fragile : while ski touring it got stuck (just once) in my backpack plastic buckle and it was enough to tear the garment. There is a small hole in it. Maybe I'll send it later for a repair..? Rated 5 out of 5 by Pawel from Great product Great quality and color. It fits very well.For summer and winter. Rated 5 out of 5 by DrIan from Light and warm Been using this throughout the ski season. It is warm when needs be, but also breathable when you need to dump heat.